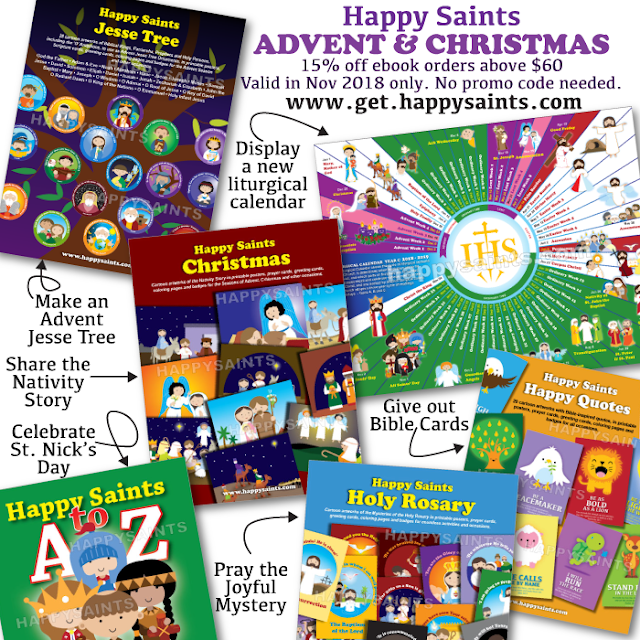 Happy Saints: Happy Saints ADVENT & CHRISTMAS! 15% off! Happy Saints ADVENT & CHRISTMAS! 15% off! Advent & Christmas is round the corner! 15% off ebook orders above $60 in November 2018 only!